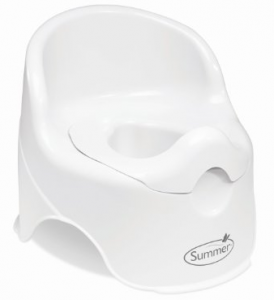 Summer Infant Potty Chair Only $7.49 On Amazon! You are here: Home / Great Deals / Amazon Deals / Summer Infant Potty Chair Only $7.49 On Amazon! Do you have a little one getting ready to potty train? If so, you’ll want to head over to Amazon and grab the Summer Infant Lil’ Loo Potty, White for Only $7.49 (reg. $10.99). You can get FREE Super Saver Shipping on orders over $35 or FREE 2-day shipping with Amazon Prime. I know we paid more than this for our potty chair so this seems like a great deal!